As I write there is a massive fire near downtown Los Angeles slowly being contained by fire fighters. Looking at images, it appears that the laws of physics regarding structural steel, temporarily suspended on September 10, 2001, have been reinstated. 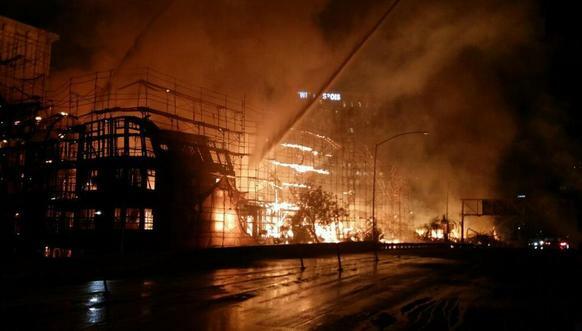 The beams that supported the structure, despite intense heat, have not melted, twisted, contorted or collapsed. Other laws that were suspended back then, such as behavior of aircraft at low altitude and Newton’s Third Law (“for every action there is an equal and opposite reaction”), might still be suspended by action of the state. I do not know. That’s above our pay grade. 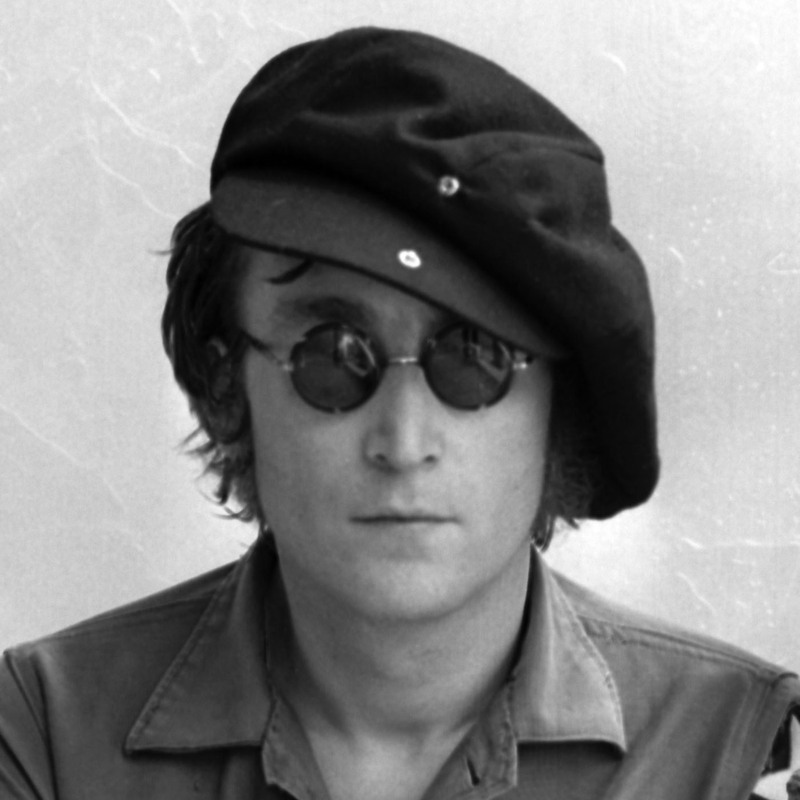 Today, December 8, is the 34th anniversary of the death of John Lennon. That hit me hard. I’ll never forget sitting in our family room that night with my then-wife and mother-in-law as Howard Cosell said those words that cut like a knife … “dead … on … arrival.” I broke down in tears. My mother-in-law, ever observant of pop culture, was unsure why death of a mere musician would move me so. Many questions still linger about the direction and source of the bullets that killed him, and also why that creepy kid Chapman was sitting there reading that book while it went down. As with the laws of physics, basic laws of investigatory diligence are suspended by fiat in certain instances, this but one of many. 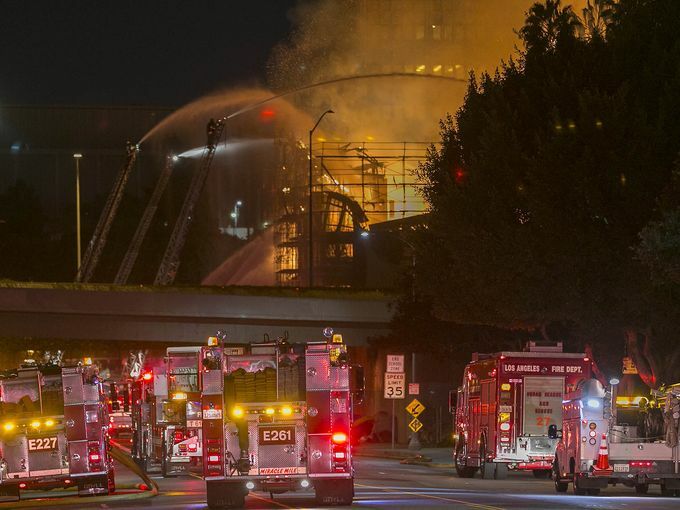 Fire images seem to register and distort observable facts and perspective in strange ways. Steel remains intact. Gee whiz! So do tree boles after wildfire. We’ve been hoodwinked. Ever notice how many burnt trees still stand in forests as snags for decades, after even the most “catastrophic” wildfires occur? Of course, we simply must remove the only portion of trees that don’t burn — leaving the most combustible portion in the (former) forest — in order to save humans from irrational fears of beetle-killed (snags) trees. An attempt at sarcasm for you hard-core literalists. Snags make excellent wildlife habitat, and average to pretty crappy lumber.